In a recommendation to the Australian Government, Google warns that draconian anti-piracy measures could prove counterproductive. Instead, the Government should promote new business models. "There is significant, credible evidence emerging that online piracy is primarily an availability and pricing problem," Google states. 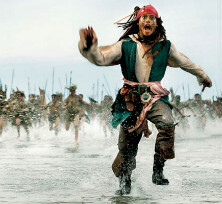 As in many other countries, online piracy is causing headaches for the Australian Government. A variety of anti-piracy strategies to deal with the problem have been suggested in recent years, but thus far without result. Late last year Australia’s Minister for Communication invited several companies to share their thoughts on the reduction of regulation in the communication sector. The minister asked for input on a variety of issues including future legislation regarding copyright. One of the companies that responded is Google, and TorrentFreak has obtained a previously unpublished copy of the company’s response. In its letter Google warns the Government not to implement draconian ant-piracy legislation. The search giant notes that they believe piracy is mostly an availability and pricing problem, which is best tackled with innovation instead of legislation. “We believe there is significant, credible evidence emerging that online piracy is primarily an availability and pricing problem. We would encourage the Government to promote new business models and a free marketplace for legal purchasing of content,” Google writes. “We would be disappointed if the Government decided to go down the route of overly harsh regulation to combat piracy without considering the evidence from around the world that this would likely be costly for businesses to implement and with little effect,” they add. Besides the warning above, Google stresses that some of the current legislation is also problematic. For example, Section 313 of the Telecommunications Act is used to censor websites, which threatens the free availability of information. “It appears that this law has been interpreted broadly by various Australian government agencies to include the take down of websites that are deemed illegal,” Google writes. Google recommends that the Government should create more oversight by implementing measures to make these website takedowns more transparent. In addition, Google is also worried about the lack of a safe harbor for Internet services, which can now be held liable for pirating users. According to the company it is of “critical importance” that this gap is addressed, as the current uncertainty has a chilling effect on innovation among Internet services. Google’s suggestions appear to stand in sharp contrast to the plans Australia’s Attorney-General George Brandis unveiled a few weeks ago. In a speech to the Australian Digital Alliance forum, Brandis opted for a “three strikes” graduated response system for persistent pirates as well as wide scale blockades of infringing websites. c There are 104 comments. Add yours?